It’s that time of year again when you see hearts and chocolates everywhere. Usually the only thing I do to celebrate Valentine’s Day is make a nice dinner or go out to a fancy restaurant. 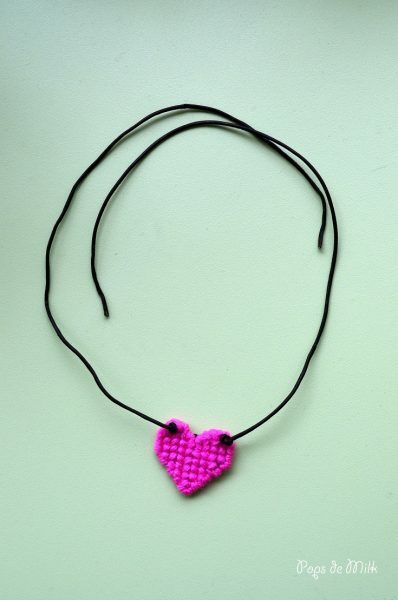 Aside from arts and crafts in elementary school, I hadn’t made anything for the day of love. 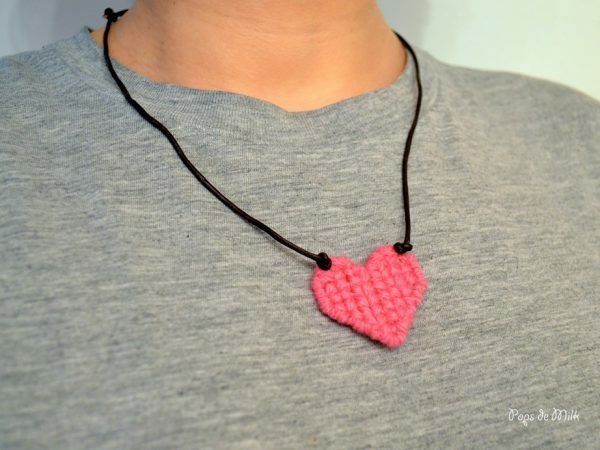 Until now that I made a heart pendant to wear during the month of February. 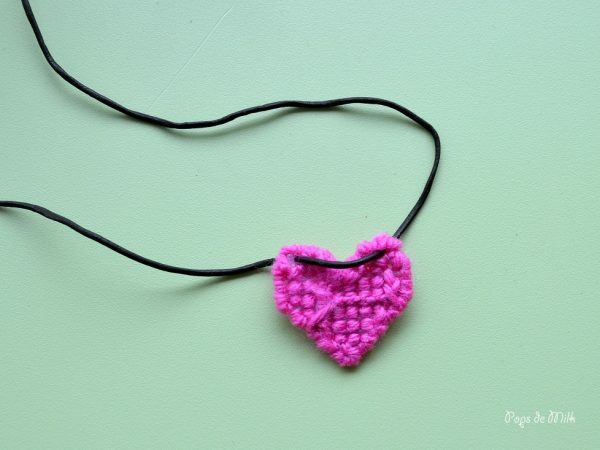 You can make one too and either wear it or give it to someone special. I have plenty of plastic canvas – yes, I’m still working on the Mario Bros. 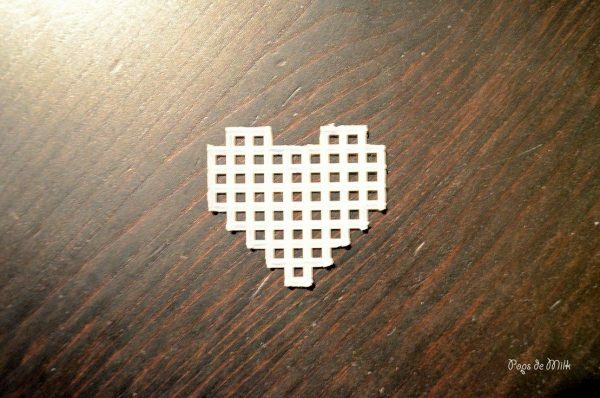 Makeup Box – that I cut into the shape of a heart. 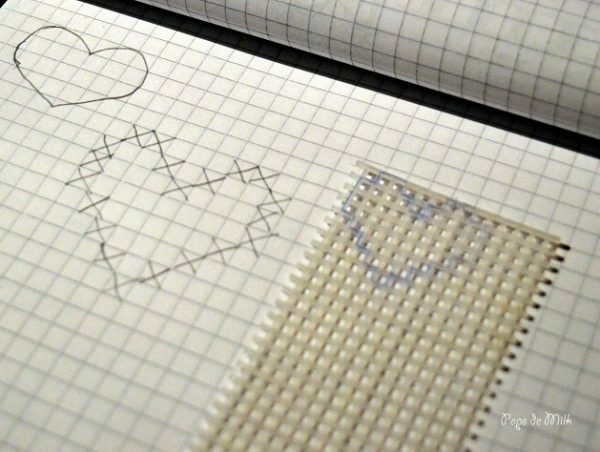 This project is great if you have scrap yarn as it doesn’t require much of it. So here we go! Leather cord, about 30 inches long – remember it has to fit over your head! Cut out the heart. Don’t worry if it looks edgy or boxy, the yarn will round out the corners. I started by wrapping the yarn around the borders before I cross-stitched the inside. 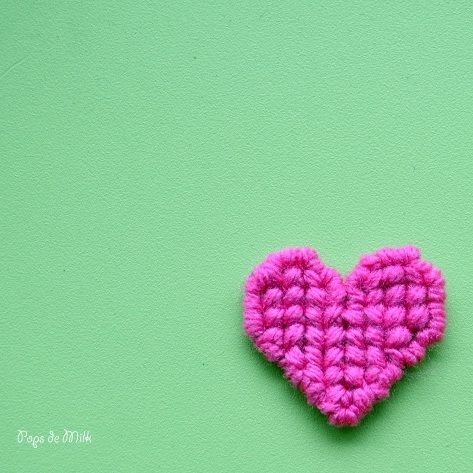 If you want you can cut out a piece of felt to glue or sew onto the back of the heart. I made a knot on each side to keep it in place. And at this point you can simply tie a knot and wear your necklace OR you can make an adjustable knot. Lay the cord so the ends overlap. 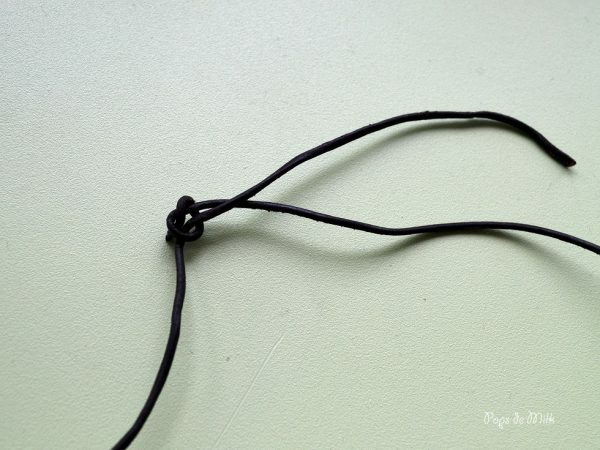 Wrap an end around the cord twice and pull through to make a knot. It took me a few tries to get it right. 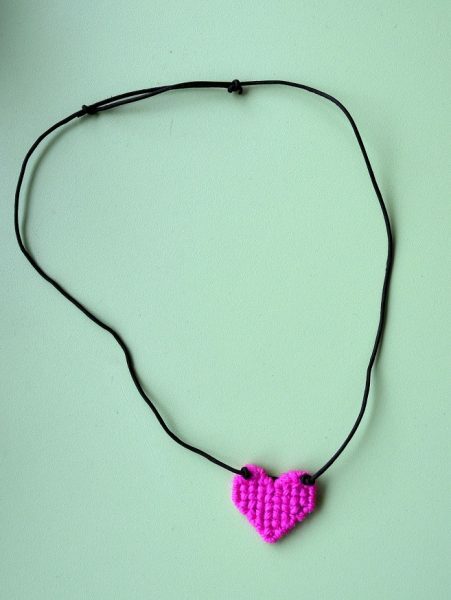 Repeat with the other side and there you have a heart necklace with an adjustable cord.